Weekends away in Europe. Lufthansa sale. Everyone loves a weekend break in Europe, and I’m no exception. Being London-based, and a gold card holder with British Airways, they would naturally be my go-to. However recently, looking for reasonably timed flights around a month to six weeks out has anecdotally seemed to be very expensive. 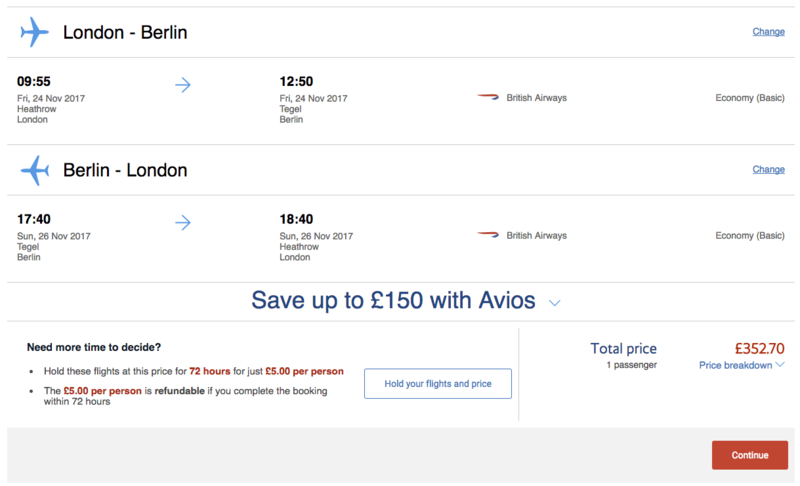 Case in point, looking at a weekend in Berlin over 24th to 26th November and the best price I can find on BA.com is in excess of £350. For one person. And I don’t even get a cup of tea, let alone a beer or glass of wine. Ouch. So a marketing email dropped into my inbox from Lufthansa promoting a sale they’re running until Monday. So let’s look at the same weekend, also flights from Heathrow, to Berlin. 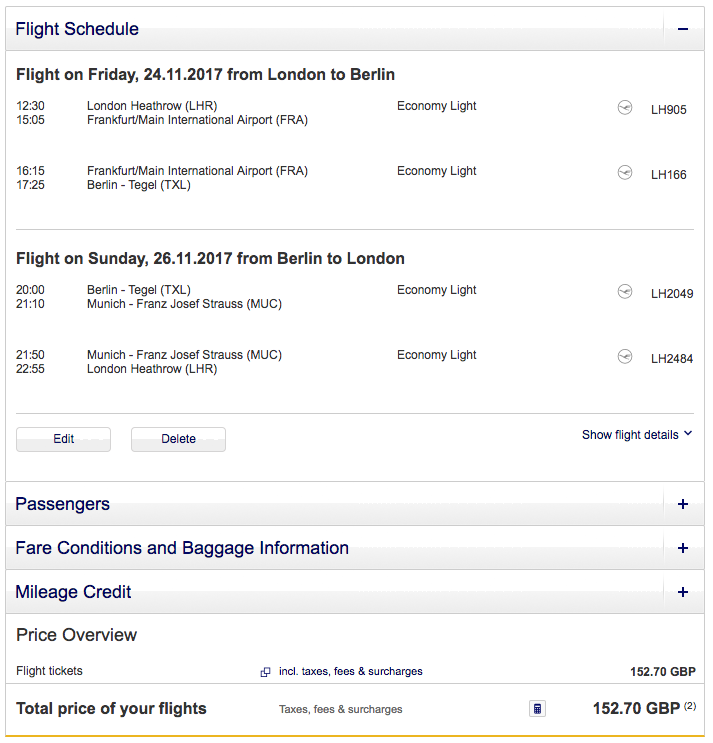 The flights times aren’t quite as good, and I do need to change planes in Frankfurt or Munich, however it’s less than half the cost of British Airways. Plus I get a snack on board, *and* a cup of tea or glass of wine. The hassle of the connection may well be enough to discount this option for some people, but I think it’s very good value. Their whole European network seems to be on sale at the moment, so it’s worth taking a look. 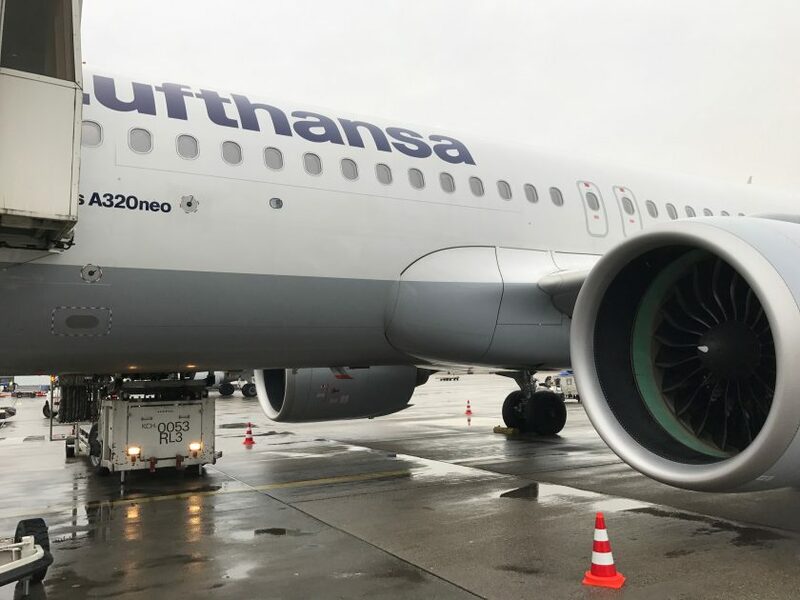 Generally connecting at Munich is much more straightforward than Frankfurt, so if you’ve got a choice, would choose those flights first. The non-Schengen to Schengen transfer at Frankfurt is fairly rubbish to say the least! If you don’t want a connection, then Munich is a fantastic place to go too (the less said about Frankfurt the better). Looking at direct flights over the same weekend, return flights at decent times, come in at £105, although it can be had for £95 if you want less optimal times. British Airways was coming in at £125 (with flights within an hour of the Lufthansa ones) so not quite as expensive, but still more than a few beers! Previous Post: New electronics ban? Next Post: The guide to getting status with SkyTeam, Star Alliance and Oneworld.